Small business owners frequently wear many hats, including HR director and payroll administrator. Even if they have designated these duties to another employee or department, the time and money spent on payroll processing and tax preparation in-house can have a significant impact on a company’s bottom line. As a result, payroll often is the first function that small business owners choose to outsource, as they look for ways to recapture lost productivity and reduce overhead. 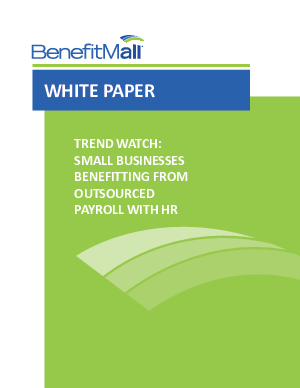 Without incorporating other vital HR functions as part of the payroll processing, however, small business owners may be missing out on additional benefits of using a third-party service provider.